The Gallery of Fine Art, Edison College, is pleased to present the rarely seen work of David Budd. David Budd was born in St. Petersburg, FL on March 31, 1927. He attended the School of Architecture at the University of Florida in Gainesville between 1946 and 1948 before studying interior design at Ringling School of Art and Design in Sarasota, Fl. It was in Sarasota that Budd met artist Syd Solomon. The influence Solomon had on David pushed him in a new direction, toward a career as a fine artist, a painter. In 1954 Budd moved to New York where he joined the Art Students League. Between 1954 and 1960 Budd met artists at the Cedar Street Tavern, the hub of the New York art world at that time. There he met artists Jackson Pollock, Franz Kline and Willem DeKooning. Budd is generally considered to be a second generation Abstract Expressionist but his work is considerably more Eastern than is implied by that association. 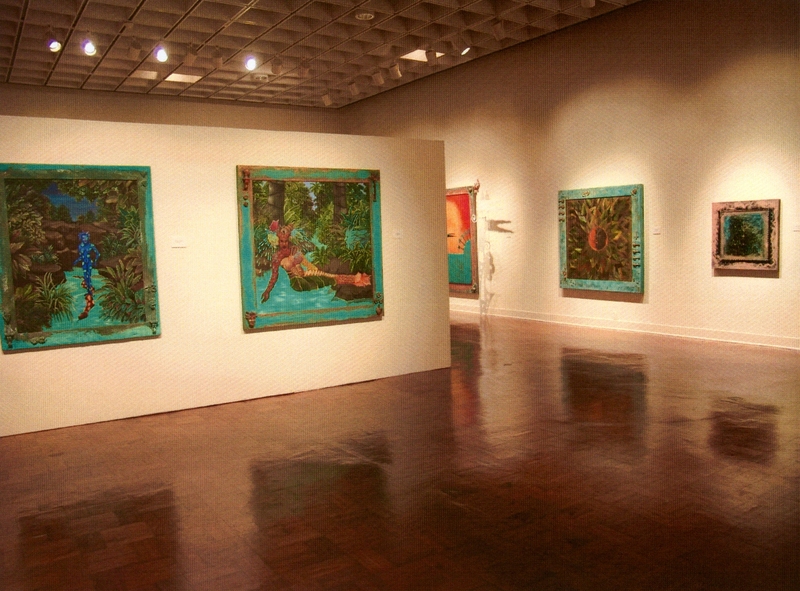 Budd’s first solo exhibit took place in 1956 at the American University in Washington, D.C. In 1958 and 1960 he exhibited at the Betty Parsons Gallery in New York. Shortly afterward, he moved toParis where he exhibited in Europe for the first time at the Galerie Stadler. The work in that, and subsequent exhibits of the time frame, were in collaboration with the writer William S. Burroughs. Budd lived and worked in Europe for a decade. 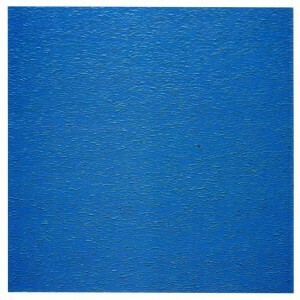 During the 1960’s he produced paintings that had broad undulating lines and forms painted in flat color with no texture. Structural elements from the paintings of the “60’s can be found in the heavily textured paintings of the 1970’s, which began some of his most important work. The later period’s hallmark was an undivided monochromatic field unified by horizontal brush strokes. After returning to the United States Budd exhibited in New York at the Tibor de Nagy, Max Hutchinson and Susan Caldwell galleries. He also taught at the School of Visual Arts. Between 1973 and 1986 Budd was awarded a grant from the National Endowment for the Arts and a John Simon Guggenheim Fellowship, and was the joint recipient of the Peggy Guggenheim Award. Severe health problems began plaguing Budd in the 1980’s. A weak heart and poor circulation in his legs made it dufficlt for him to walk for any extended time or distance. Chemotherapy for cancer further weakened him. Despite his numerous medical problems and discomfort, he remained active and produced the “Journey Without Maps” and “Silver System” series. David Budd died of heart failure at his home in Sarasota,Florida on October 9, 1991. Major public collections holding David Budd’s work include: The Metropolitan Museum of Art, New York; The Solomon R.Guggenheim Museum, New York; The Corcoran Gallery of Art, Washington, D.C. and the Whitney Museum of Art, New York. The work in this exhibit spans the career of David Budd with an emphasis on some of his most hauntingly beautiful work created from the 1970’s on. Key elements of the exhibit include the “Bisbee Blue” series as well as the “Journey Without Maps” and the “Silver System” series. The latter two represent some of the last work the artist produced. 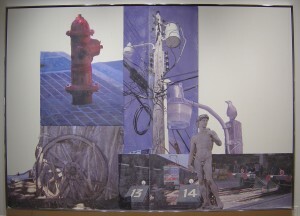 The work in the exhibit was organized and selected by Ron Bishop, Director of the Gallery of Fine Art, Edison College. It could not have come together without the assistance of Kevin Dean, Director of the Selby Gallery in Sarasota as well as Corky Bowes who was married to David Budd. Ms. Bowes oversees the work that survives the artist and generously loaned all of the work selected for the exhibit. Since receiving her MFA from the Rochester Institute of Technology in 1981, she has published 7 books and CD-ROMS. 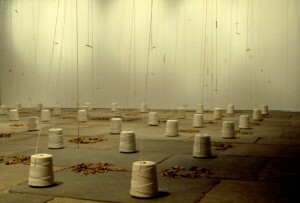 Bridges was the recipient of a Guggenheim Fellowship in 1982, a New York State CAPS Grant in 1983, a NEA grant in 1984 and a Fulbright Fellowship in 1988. She was elected a fellow of the Explorers Club in 1988 and in 2003 received the Wings Trust Award. Her work has been shown in more than 300 exhibits worldwide and is in more than 80 museum and private collections. 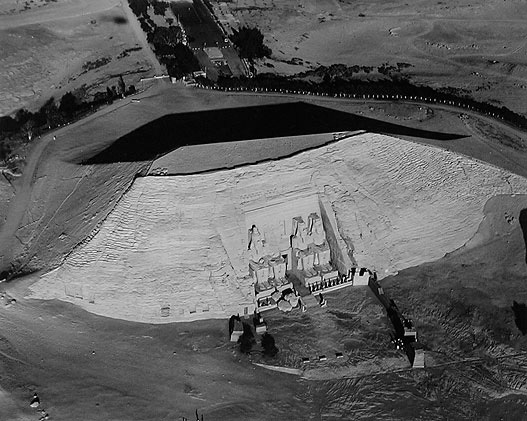 “Egypt: Antiquities From Above” constitutes a journey up the Nile from Giza to Abu Simbel, documenting the architectural remains that span nearly 5,000 years of Egyptian history. While Marilyn Bridges follows the footsteps of early explorers, archeologists and adventurous travelers of the past centuries, she does so from a unique perspective of high above the NileValley that nourished the civilization that gave birth to extraordinary monuments. 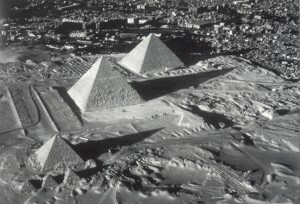 As much of the antiquities of the Nile are located in military-sensitive zones, which prohibit aerial reconnaissance. It was only after months of security checks and bureaucratic debate that Bridges was finally allowed to photograph the sites. 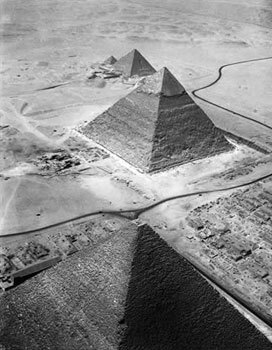 Her previous documentation of the Nazca Lines of Peru and the Maya civilization of theYucatan proved to be the deciding factor in the Egyptian government’s decision. 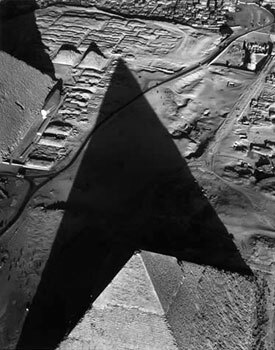 While Marilyn Bridges’ photographs provide a visual framework for archaeologists to survey the extensive boundaries of historical sites, her fine art background does not limit her work to scholarly inspection. 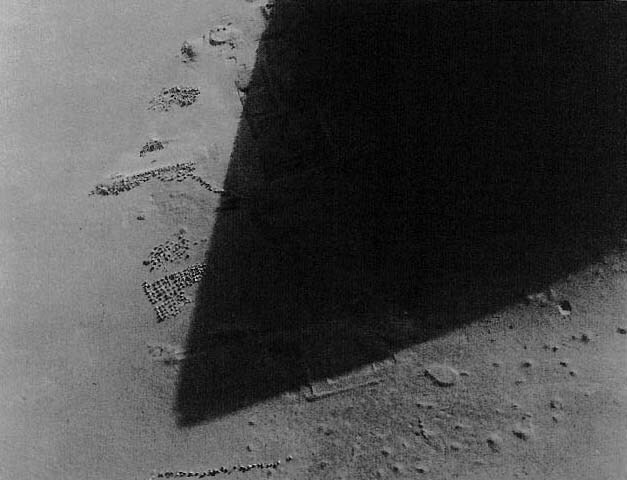 Bridges’ photographs, usually taken at low altitudes from a single-engine aircraft or a helicopter, force the viewer to examine the landscape from an unfamiliar perspective. Composition and detail are explicit in the images and the balance of light and dark tones give a rich flavor to the photographs. Through photographic studies of ancient sacred and secular architecture and equally poignant surveys of the contemporary landscape, Bridges has instigated a dialogue with which to examine man’s future. To Bridges, these ancient sites in Egypt are both a testimony to the genius of the builders and an affirmation of the Egyptian people. Yet, as they speak of the past, they also define the present. 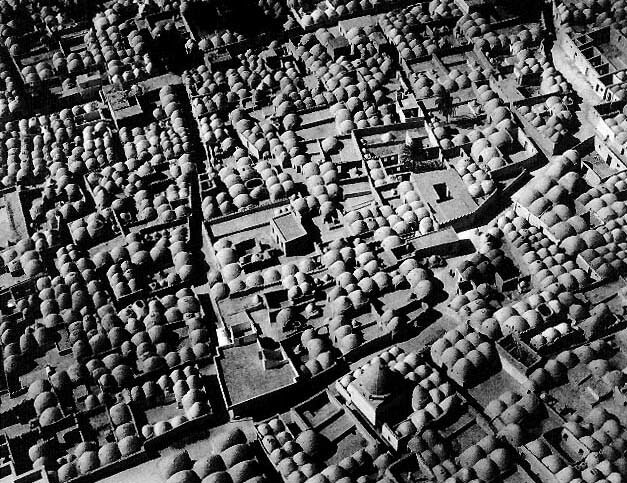 Industry and urban sprawl and the effects of pollution threaten the sites as much as nature in the past once covered them with sand. This exhibit features 52 black and white gelatin silver print photographs executed between 1984 and 1993. Included with the exhibit are panels and maps to further place the exhibit in context for the viewer. Visit MarilynBridges.com for additional biographical and resume information. 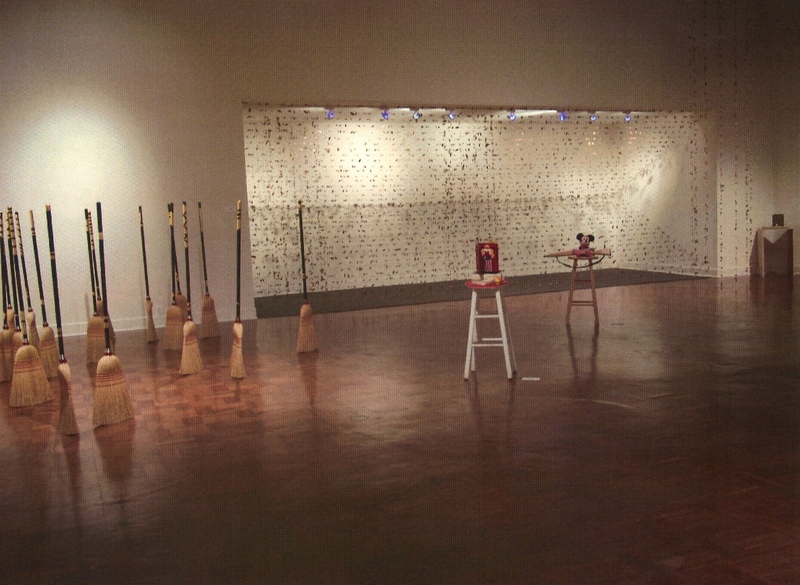 The Gallery of Fine Art, Edison College, will be hosting the annual student art exhibit from April 22 to May, 2004. Full and Part time students taking art classes over the past year will have their work on display and be eligible for category awards. The reception and awards ceremony will be held on Thursday, April 22 from 4-6 P.M.with the awards presented at 5 P.M. Artwork on display includes Painting, Drawing, Photography, Design, Ceramics I and Ceramics II. The opening reception is open to the public and refreshments will be provided by the Docents of the Gallery of Fine Art. Awards sponsors this year include the SW Florida Craft Guild, the Docents of the Gallery of Fine Art, the Humanities Faculty and Dr. and Mrs. Richard Rush. Edison College is pleased to announce that the Gallery of Fine Art at the Lee Campus will be named “The Bob Rauschenberg Gallery” at a dedication ceremony scheduled for Friday, June 4, 2004. Coinciding with the dedication ceremony, a new exhibit of Mr. Rauschenberg’s work, “Scenarios,” will be on display in the Gallery from June 4 to July 11, 2004. World acclaimed artist Robert Rauschenberg has been a friend of Edison College since 1980 when his first exhibit took place at the Gallery of Fine Art. 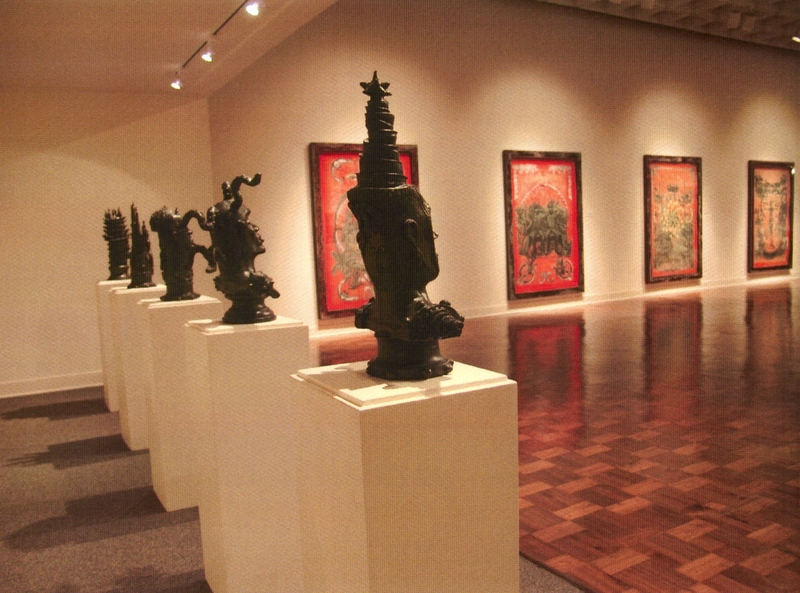 Subsequently, the gallery has hosted eight exhibits of his works and an additional two exhibits have taken place in the Barbara B. Mann Performing Arts Hall. With the June 4 exhibit and another exhibit planned for January of 2005 the remarkable total of 12 exhibitions have taken place at Edison College over a 25-year span. Mr. Rauschenberg’s generosity led to the establishment of an endowed fund to benefit the Gallery in March 2000. The Edison College Foundation created the fund from the proceeds of the sale of limited edition prints and posters of Rauschenberg’s work. Rauschenberg has created a new limited edition print entitled “Restoration,” and will donate signed prints to the Gallery of Fine Art for purchase through the Foundation at the June 4 ceremony. The artist’s generous gifts, along with State matching funds, have resulted in an endowed fund at a level which meets the College’s guidelines for naming its facilities. The reception will be held in the lobby of the Barbara B. Mann Performing Arts Hall beginning at 6:30 p.m., with the exhibition of “Scenarios” and Gallery Open House scheduled for 6:30 p.m. – 9:00 p.m. The dedication ceremony is planned for 8:00 p.m. This annual favorite features the artwork of local and national artists that have been donated for auction to benefit ACT, INC. The preview exhibit includes work by national artists such as Rauschenberg, Pottorf, and Rosenquist as well as dozens of local favorites. The Bob Rauschenberg Gallery at Edison College, Fort Myers, Florida is pleased to present the work of Miami based artist Karen Rifas. The exhibit is comprised of some two dozen pieces completed in the past 10 years. 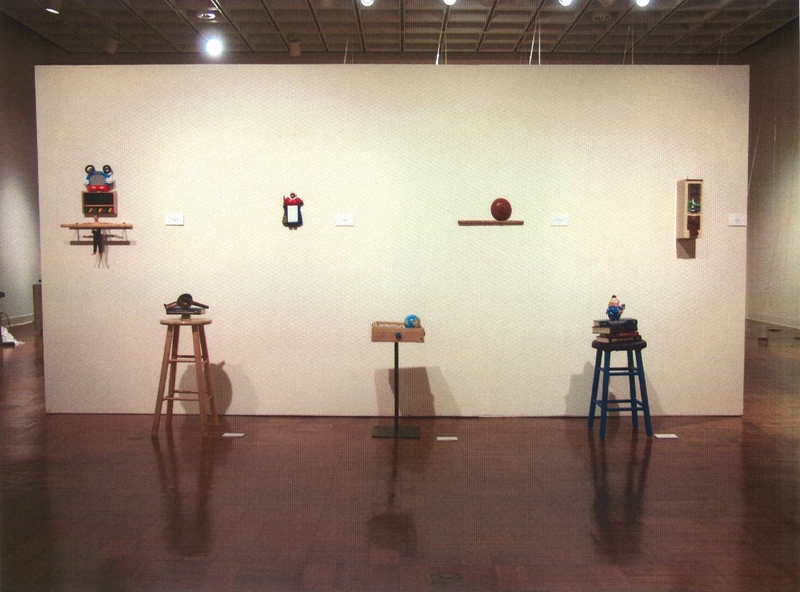 The exhibit includes several installation pieces and numerous free standing and wall mounted found object assemblages. Karen did her undergraduate and graduate work at the University of Miami, Coral Gables, Florida. She received a BFA in 1985 and an MFA in 1988. Karen is an Adjunct Professor at theNew World School of the Arts, Wolfson Campus, Miami-Dade Community College and she has also worked as an Adjunct Professor at the University of Miami. 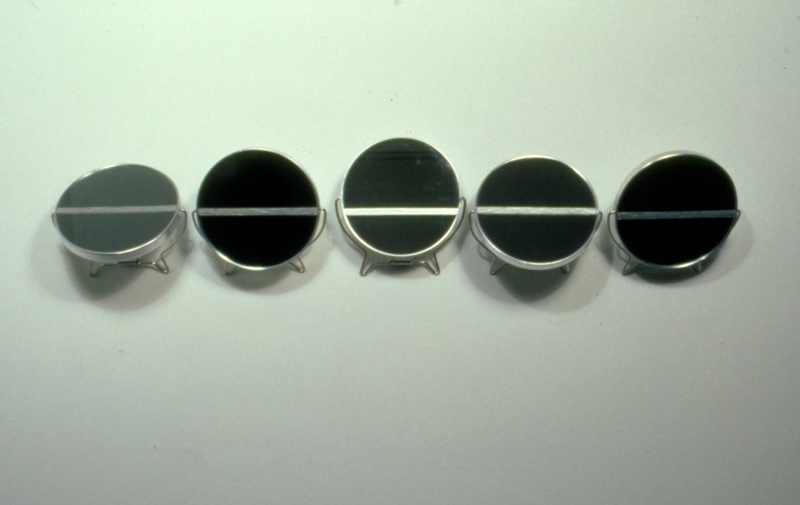 Ms. Rifas received a Florida Individual Artist Fellowship in the 1997-1998 cycle and again in the 2002-2003 cycle. She has received numerous other awards including an Artists Access Grant from the Miami–Dade Cultural Affairs Council. Karen has been represented by the Bernice Steinbaum Gallery, Miami, for several years, and was included in the gallery’s presentation at Art Basel this past year. 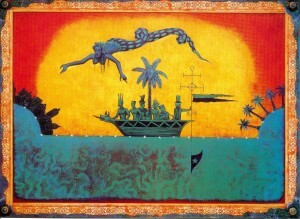 Her work has been exhibited nationally in galleries and museums inFlorida, Georgia, Illinois, Ohio, New York and Washington D.C.; and internationally in Chile, Mexico and the Republic of Panama. Included in the Florida shows have been exhibits at the Bass Museum, Miami, Boca Raton Museum of Art, Museum of Art, Tallahassee, Polk Museum, Lakeland and the Museum of Art, Fort Lauderdale just to name a few. 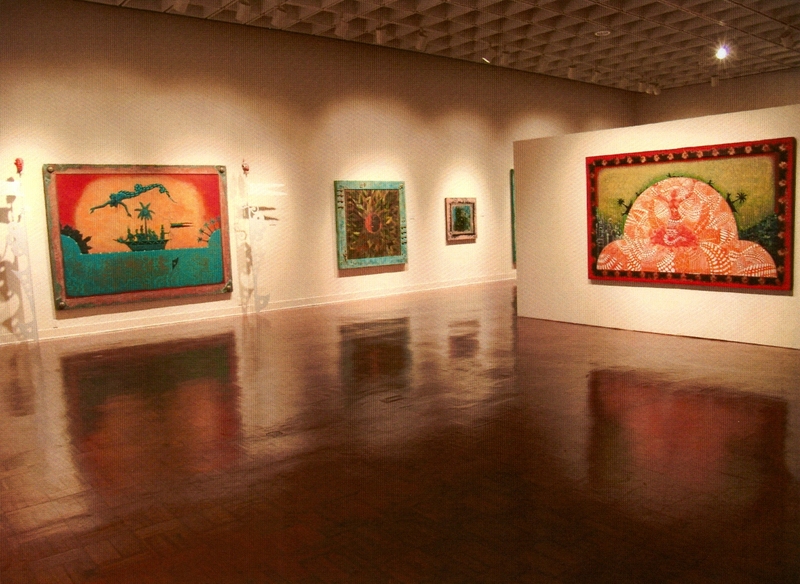 Additionally, she has shown her work at colleges and universities throughout the state of Florida including shows at the University of Miami, Valencia Community College, Miami-Dade Community College, University of Florida, St. Thomas University, Ringling School of Art and Design, Stetson University and Florida International University among many others. Reviews of her work have been published in several notable art publications including Art in America, Art News, Sculpture Magazine and Art Papers. The Bob Rauschenberg Gallery at Edison College is pleased to present the work of Haitian-born American artist Edouard Duval Carrié. With this being Haiti’s bicentennial year of independence, the gallery is please to conclude 2004 with this remarkable exhibition of one of America’s premier artists. The exhibit will include painting, mixed media and three dimensional work. Born inPort-au-Princein 1954, Carrié went to middle school in San Juan, Puerto Rico, and high school in New York City. He studied at the University of Loyola in Montreal and at the Ecole des Beaux Arts, Paris. In France, he was awarded government funding to do archival research on slavery and the Middle Passage – the transport of African slaves to the New World, a recurring theme in his work. Carrié’s figurative style crosses numerous artistic borders, creating dramatic paintings and sculpture combining vivid color and diverse imagery with an immediacy of execution. He utilizes a fauvist palette with an unrestricted treatment of form to create often large scale elaborately adorned work, as in the Baroque period, with an unusually successful freshness or immediacy. Edouard Duval Carrié’s alluring work is lush in surface treatment, brilliant in color and is remarkably deceptive in its apparent idyllic representation of an island paradise. Behind the visual lure of the work lies a poignant message of discord, exodus and spiritual loss through the post colonial era of Haiti. Carrié’s work is sensual and uncompromising. His work is simple, direct, multi-layered and dynamic. Edouard is represented by the Bernice Steinbaum Gallery, Miami, Florida. In conjunction with this exhibit, the Bob Rauschenberg Gallery will be assisting the Edison College student Haitian club organize a “Haitian Relief” drive. The Haitian club is working with the Florida Haitian Student Association to organize and deliver the donations to Haiti. Anyone interested in helping can bring clothing, canned food and other supplies (bandages, hammers, screwdrivers) to the Bob Rauschenberg Gallery during the exhibition.